← Picture of The Week – Fun on Ice! It’s still cold and wet outside but spring is just around the corner. 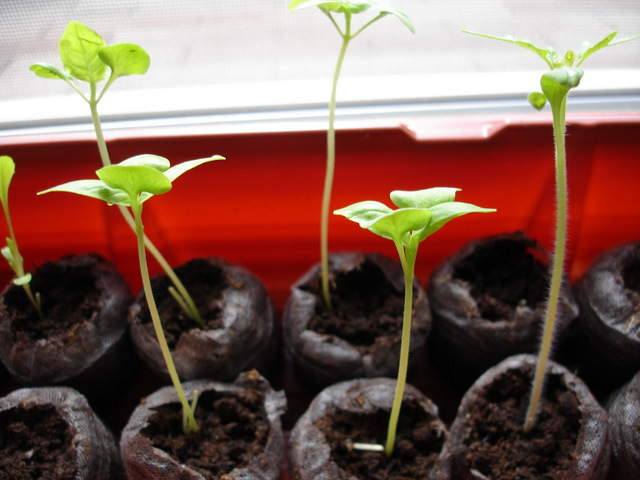 Now is a great time to start seedlings indoors so you can transplant the seedlings into the garden in early to mid-March. The mild weather in the Triangle is perfect for creating an early spring garden with leafy green cold weather crops like broccoli, kale, lettuce, cabbage, spinach, and peas. Some great local garden centers to get seeds and supplies include Logan’s in Raleigh, Fifth Season Garden Co. in Carrboro, and Barnes Supply in Durham. Check out the NC State Cooperative Extension’s Spring Vegetable Garden Planting Guide here for more information on suggested planting dates for seeds and seedlings. If you are like me and working with limited space, check back here next week when I post step by step instructions on how you can build your own square foot garden to enjoy this growing season. Great write up. Time to go work in the garden now haha. Excited to see these sprout.